But now the real images are up, processed by the folks at the Space Science Institute in Boulder, CO and APL at Johns Hopkins who really know their stuff and what’s what in these images… and all I can say is wow. As Carl Sagan famously said, “That’s here. That’s home. 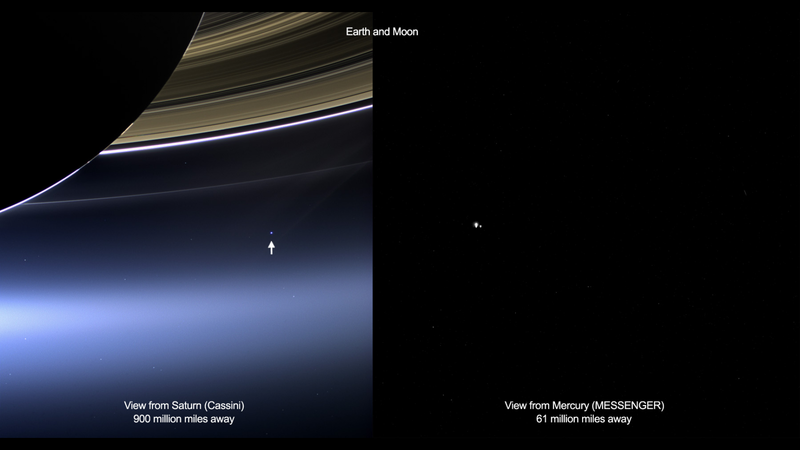 That’s us.” Those little dots in these images captured from two sides of the solar system are our entire planet and its lone satellite, and we are all there on them. All of us, every single one. Ever. Sure, pictures like this have been taken before. This time, though, we knew beforehand, and the world was ready. 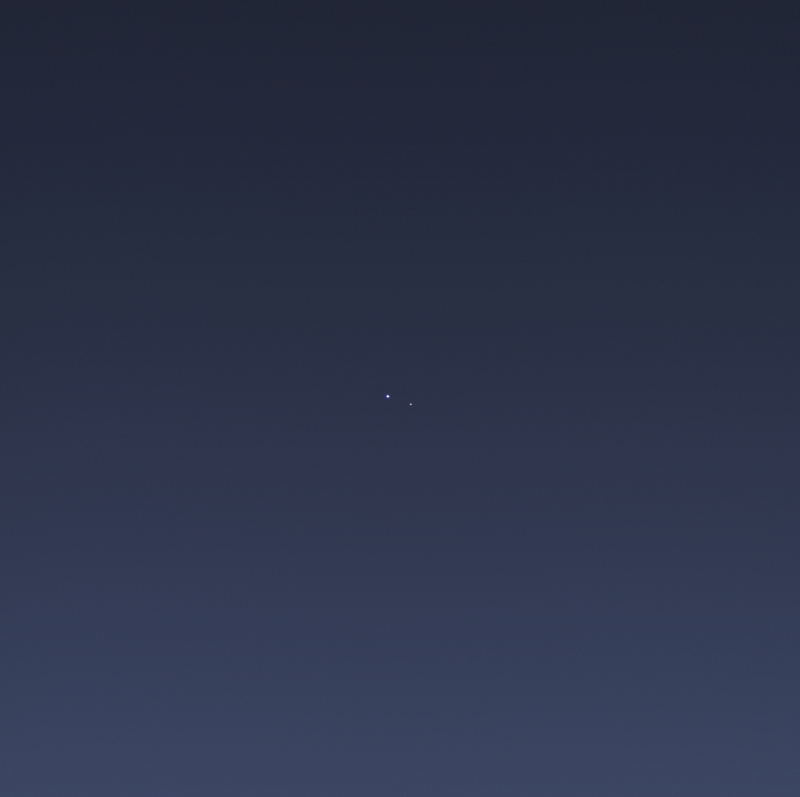 Some people may feel that images like these show the insignificance of our planet amid the vastness of space, but I feel that the sheer fact that we have figured out a way to obtain these views highlights the incredible ingenuity of the human mind and spirit and what can be accomplished, collectively, in the name of exploration and knowledge. And if that doesn’t make the Earth smile, I don’t know what will. See these and more on the NASA release here and on the CICLOPS page here. 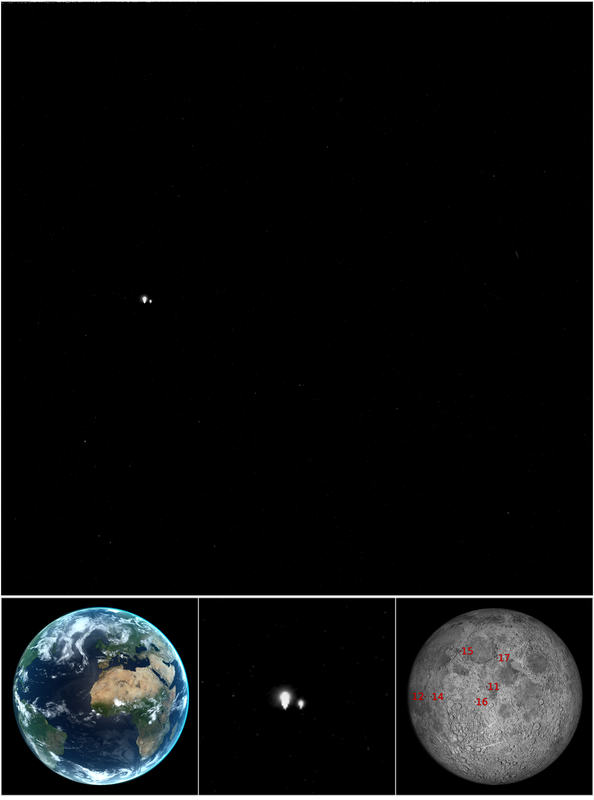 Next Post Meteor Strike: Can We Spot The Next Big Asteroid in Time? On the Messenger picture we “can see” my country : France !! 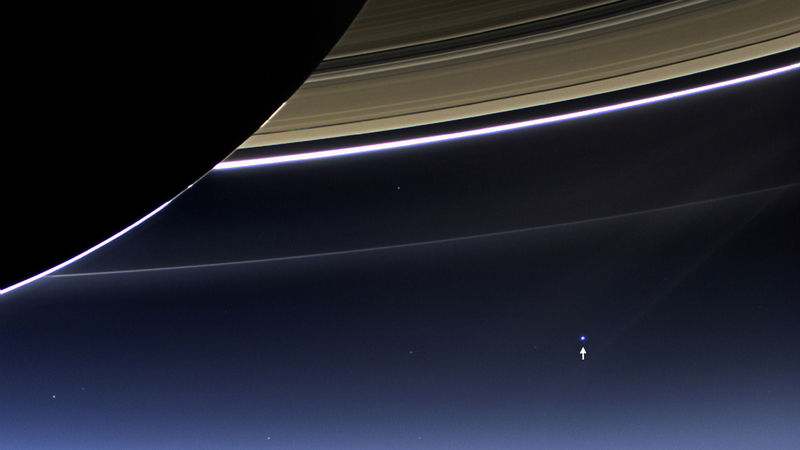 These two pictures – From Cassini and from Messenger – are awesome !! Too cool !! Ha! That’s great Jeff! Hope you were waving!